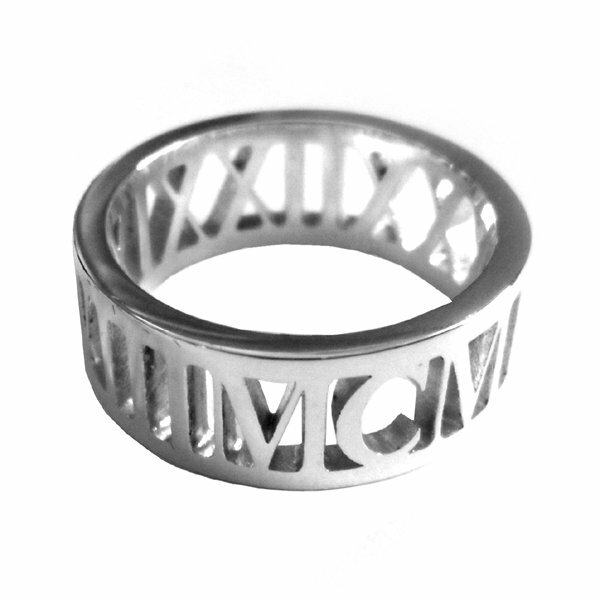 Celebrate your wedding with this elegant round ring that symbolises your special date in Roman numerals on its inner face. 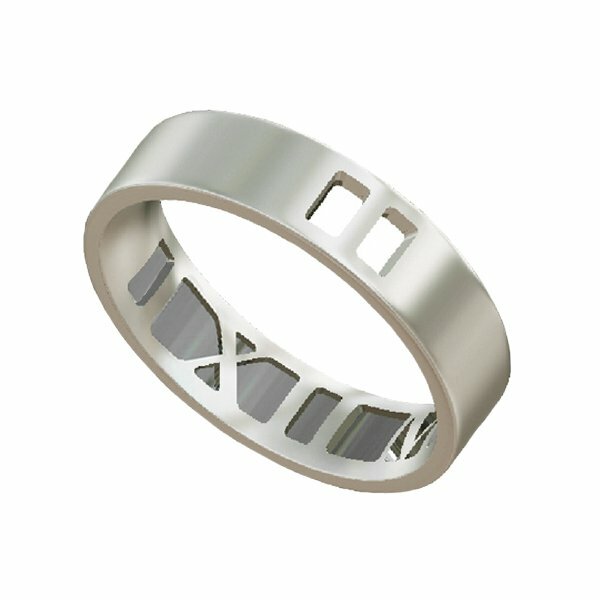 The profile is domed to fit perfectly with many engagement ring designs. 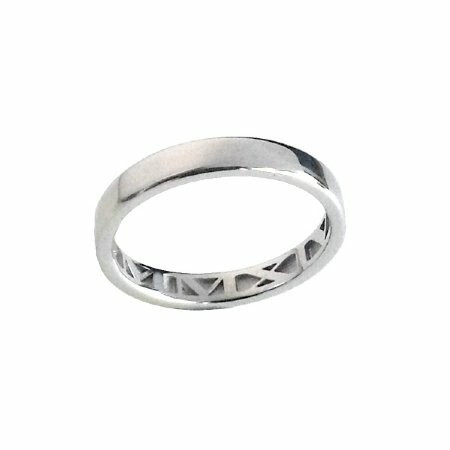 This 3mm narrow ring is available in yellow gold, white gold, rose gold, palladium and platinum. 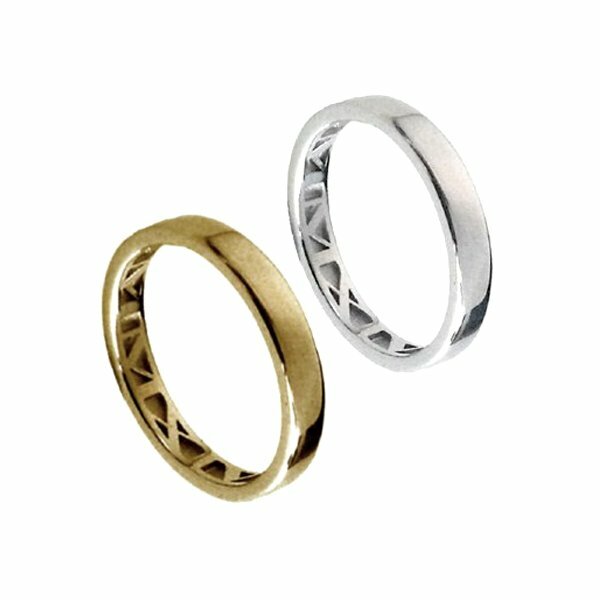 Select from a polished finish or matt brushed. 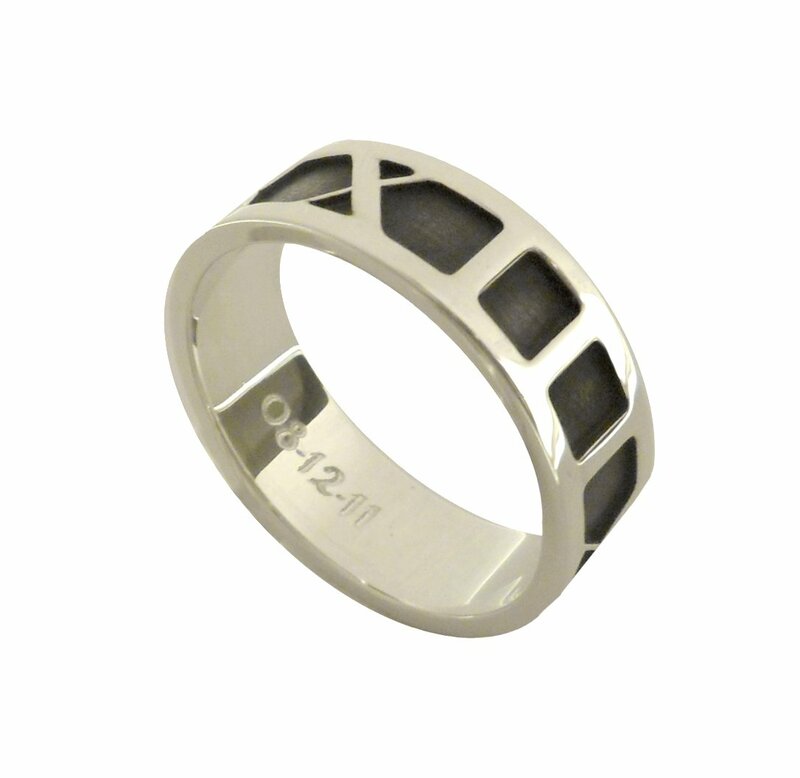 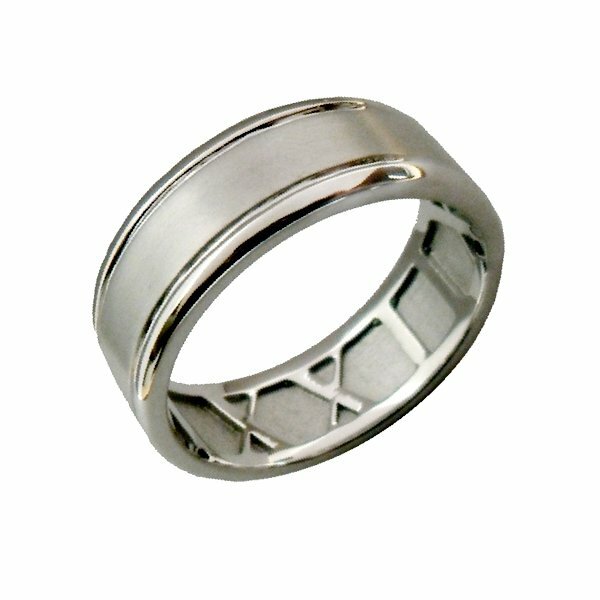 This ring is custom made and has a lead time of 2-3 weeks, so please let us know what date you require it for.